And smoke billows from the ruins. Many thoughts collide and fill the child’s mind. Thoughts no child should carry. Standing alone, afraid to look. Tired arms hold all that is left of this life. The life sniffs the air and hides beneath their paws. Knowing what has happened, howling at the blood red, war torn sky. A tear falls from both of their eyes. And then nothing is left. 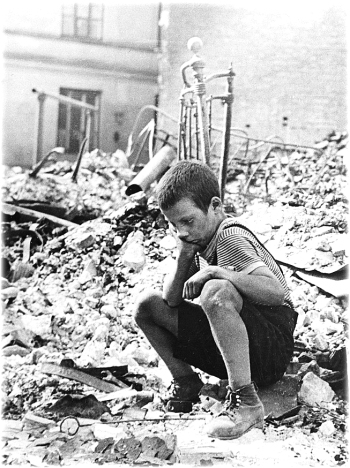 This entry was posted in Being, Poetry and tagged child, children, children of war, i see the ruins, lost innocence, runis, war, war child. Bookmark the permalink.